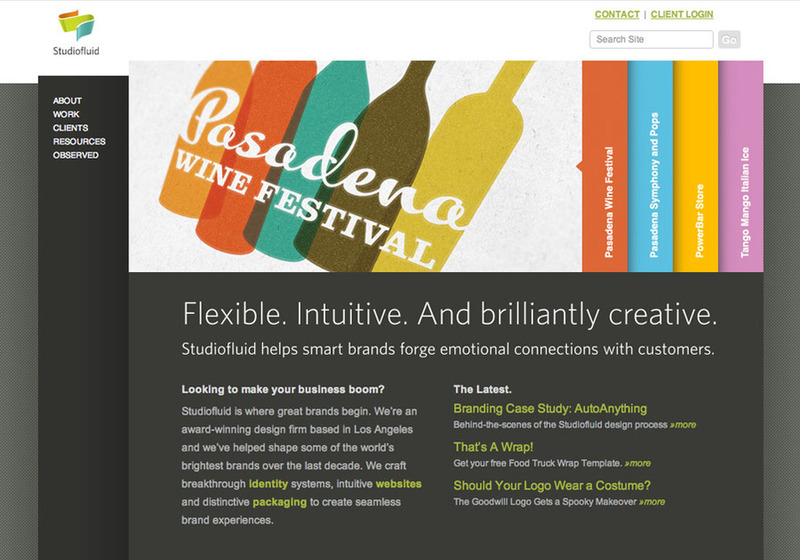 Studiofluid is a Los Angeles design firm that helps clients build strong brands. We design web sites that are easy to use, and easy for our clients to maintain. INDUSTRY EXPERIENCE: Architecture & Engineering, Business Services, Consumer Products, Fashion, Entertainment, Food & Beverage, Health & Wellness, Nonprofit and Education. OUR CLIENTS INCLUDE: AutoAnything, Sony Electronics, Coop Italia Supermarkets, Bausch & Lomb, Pasadena Symphony and Pops, Pasadena Wine Festival, U.C. Davis Inst. of Transportation, Metaphase Design Group, LG Electronics.